On behalf of everyone at the DNC, we are deeply saddened by Congresswoman Slaughter’s passing, and our thoughts are with her family, colleagues, and constituents at this difficult time. As one of the longest-serving women in Congress, Louise was a trailblazer and fierce advocate for women’s rights. From fighting for equal pay and LGBTQ rights to combating the scourge of domestic violence and sexual assault, she was committed to the values of diversity, equality, and justice for all people. And as the only microbiologist in Congress, she worked tirelessly to protect our environment and expand access to STEM education for women, minorities, and people with disabilities. It would be hard to find a member of Congress more respected and beloved than Louise. With good humor, unfailing kindness, and a lifelong passion for public service, she dedicated her career to making progressive change for families in New York and across the country. Her leadership will be sorely missed by the Democratic Party and in the halls of Congress, but we will carry on her legacy by continuing to fight for the issues she championed every single day. We had a tremendously successful DNC Winter Meeting last week, and I’m grateful to everyone who participated to help build a stronger Democratic Party. From the moment I decided to run for chair, I understood we had to rebuild trust with every single voter who shares our values. Now that the work of the Unity Reform Commission and our Rules and Bylaws Committee is one step closer to completion, I couldn’t be more optimistic about our efforts to elect more Democrats up and down the ballot in 2018, 2020 and beyond. And I’m certain that when our work is complete, our 2020 nomination process will be the most fair and transparent in the history of American presidential politics. You can watch my remarks from last weekend’s General Session here. The upsets keep coming. And no, I’m not talking about basketball. 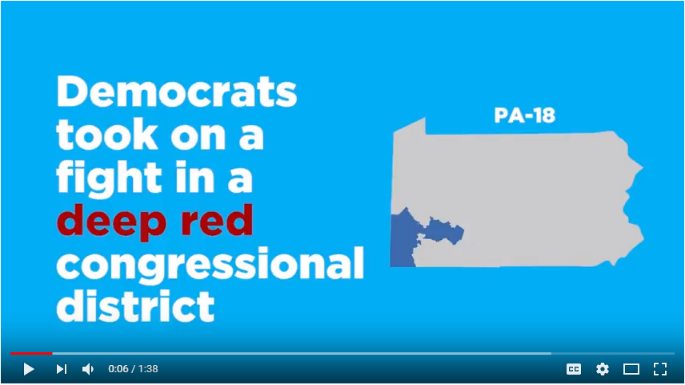 On Tuesday, Democrats pulled off yet another stunning victory in a deep-red district. 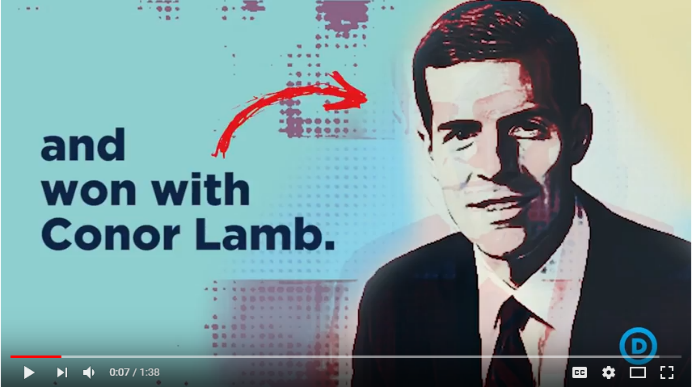 With the nation’s eyes on Pennsylvania 18th, we invested, organized, and helped Conor Lamb flip a seat in a district Donald Trump won by 20 points in 2016. This is a victory for the hardworking families of Western Pennsylvania and for Democrats across the country who are organized and ready to win in 2018. It’s a continuation of the trend we saw in 2017 and a sign of even bigger wins to come in 2018. But most of all, it’s a reminder that every single vote counts. That’s why our new IWillVote program is so important. The DNC is proud to have supported Conor and the Pennsylvania Democratic Party in their organizing efforts. As a Marine and former federal prosecutor, Conor has already dedicated his career to serving the American people. Now as he heads to Congress, I know he’ll be a tireless champion for better jobs and wages, more affordable health care, an end to the opioid epidemic, and retirement security for all the families he represents. It has been profoundly inspiring to see the students of Stoneman Douglas organizing and demanding action to end the epidemic of gun violence. 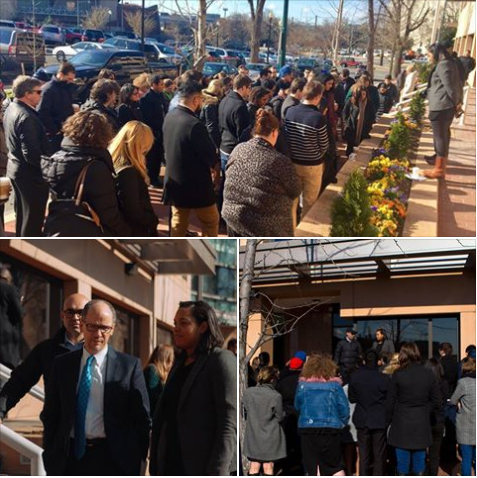 On Wednesday, the DNC family walked out in solidarity with them and millions of students across the country, because we all deserve to be safe where we work, live, and go to school. As they keep reminding us, thoughts and prayers are not enough; now is the time for action. Democrats are proud to support these students, and we refuse to believe that we are powerless to prevent the mass slaughter of innocent people. Every day, seven children and teens die from gun violence. This is not normal. This is not acceptable. This is not inevitable. The cruel and cowardly indifference of the gun lobby and their close allies in Congress is no match for the courage of these students and all those fighting to end gun violence. Because of their leadership and activism, we know that one day we will no longer live in a nation that sees its children murdered and does nothing. Have a safe and happy St. Patrick’s Day weekend, and best of luck with your NCAA brackets. I’m sure mine will be busted soon.